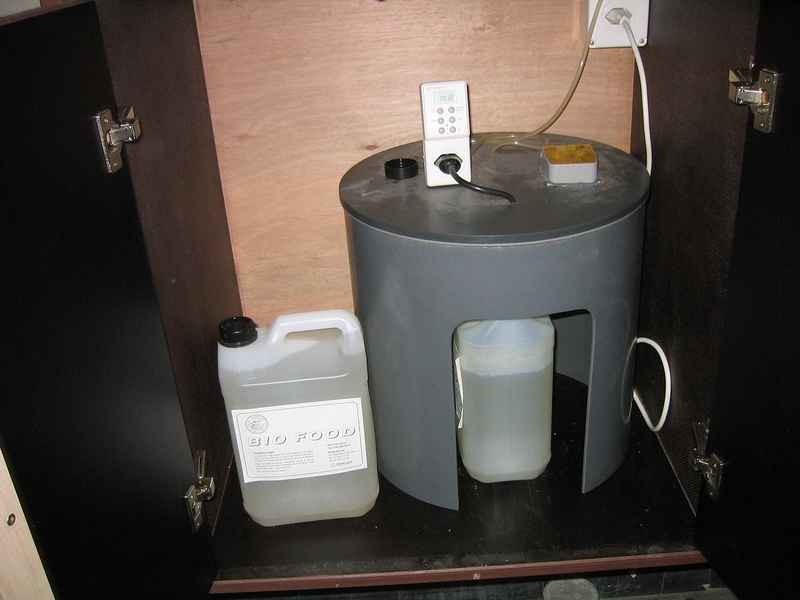 For the pre-treatment of kitchen wastewater. The degradation process in a grease separator can be accelerated by the addition of micro-organisms specifically selected for their ability to degrade grease. These microorganisms are marketed by Ecoplast in liquid form under the name of Biofood©. 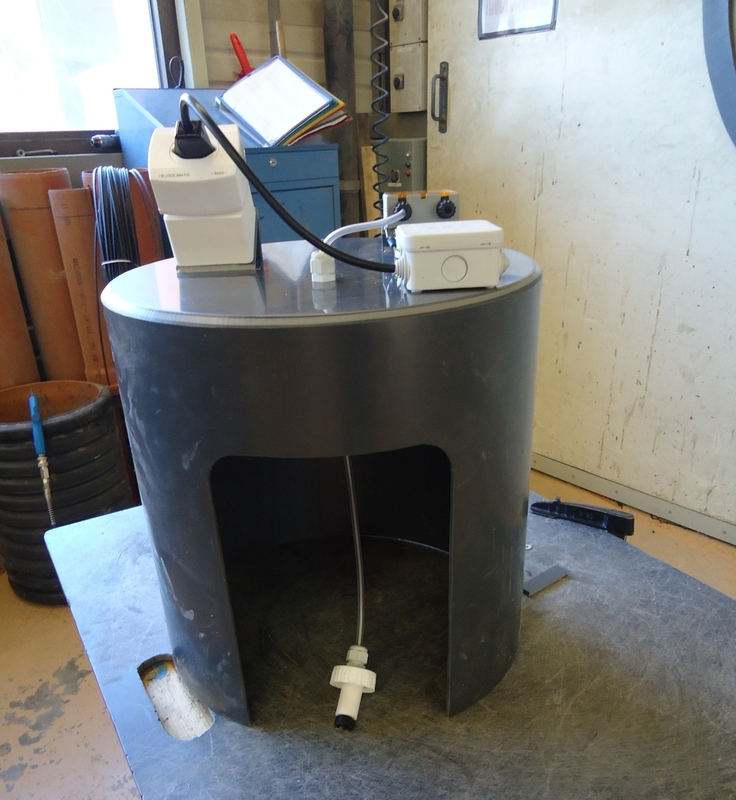 The application is made by a tank equipped with a dosing pump. to reduce the risk of unpleasant odours. Important note: the use of grease reducing product depends on the local sanitation conditions, and is therefore subject to approval by the competent authorities. Grease degradation by Biofood©. The experience of using biotechnological processes in the food industry has allowed application to small units, such as grease separators. The micro-organisms used come from the natural environment. They are selected and multiplied into fermenters in order to obtain very high concentrations. The fixing of these micro-organisms is done on nutritional supports, providing the medium with nutrients necessary for its balance and allowing bacteria to develop rapidly. These micro-organisms are completely harmless, compliant with international regulations OECD, EU, FDA, NF. Class 1, and they are not genetically modified. Grease degradation is achieved through enzymes, breaking down carbon chains into molecules that are small enough to allow micro-organisms to assimilate them. The assimilation of these carbons gives the micro-organisms the energy necessary to reproduce and therefore to bio-degrade the grease. This degradation will produce small amounts of mineral matter, water and gas. Reproduction of micro-organisms has limitations. Indeed, the genetic message, from generation to generation, loses its authenticity. The new generations of micro-organisms tend to become weaker after a certain period of time. At some point, the population of micro-organisms becomes similar to that you would find in the medium, before treatment. It is therefore necessary to supplement these losses regularly. This process is comparable to the functioning of our own digestive system, where enzymes consumed from milk, bread and cheese can play the same function.